We were walking in our favourite conservation area (Selwyn) yesterday morning, May 9. It was quite windy, so that is how I think we surprised a very large cat. We were only about 10 feet away from the animal. It was larger than a big house cat – more the size of a Springer Spaniel? – with maybe grey, tabby-like colouring. It was definitely bigger than any cat I’ve ever seen. 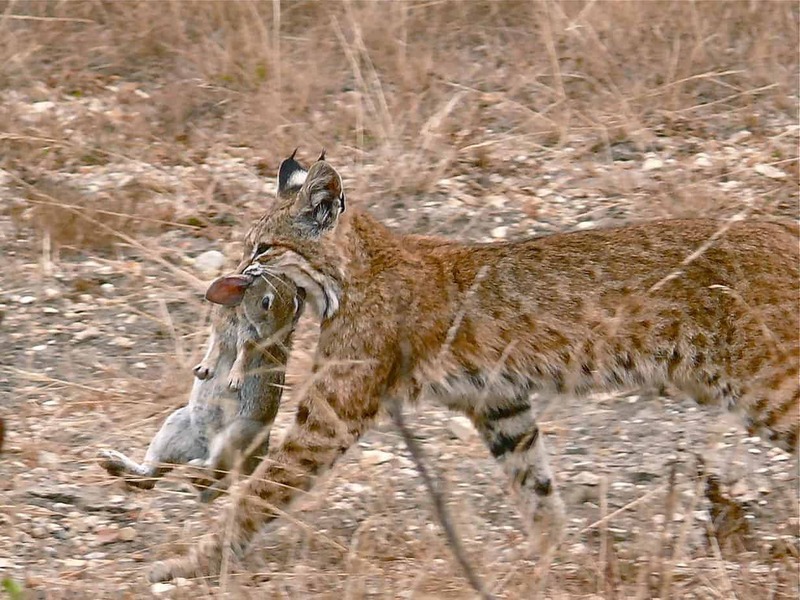 My guess is that it was a Bobcat or Lynx. It was so startled that it jumped a few feet in the air. However, we did have time to see a large face and huge eyes. It was moving too fast to clearly see the ears. Not sure if it went up a tree or out into the woods. It made a sound too but I can’t describe it. I have occasionally seen tracks that look like large cat prints, but this was our first actual sighting. We were a few kilometres from any residence. We’ve been walking in the park almost daily for six years and have never even seen a feral cat there. Usually the feral or farm cats we see in our area are pretty skinny. 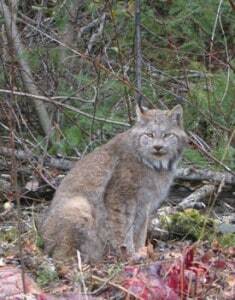 Note: We have very few “wild cat” sightings in the Kawarthas. That being said, there has been an increase in Bobcat numbers in southern Ontario (pers. comm. with Don Sutherland of NHIC/MNR) over the past decade or so. 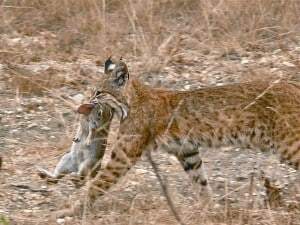 A Bobcat was trapped north of Havelock a few years ago. Lynx tend to occur quite a bit further north. D.M.